An unpleasant localized sensation that can range from mild discomfort to sever agony. Mostly, pain results from stimulation of special sensory nerve receptors in skin or within body by tissue injury or disease or by stretching or spasm of muscle. The sensation of pain has important role of drawing attention to fact that something is wrong forcing sufferer to look for and correct the cause. Usually scene, nature and intensity of pain offer sign of its cause and importance. The perception of pain varies, both between people and in same person at the different times, and referred pain is observed in areas other than the damaged part of body. Phantom pain as it comes from limbs or part that has been amputated, because that is the way brain interprets impulses from nerves in stump. Pain and stiffness over neck and upper thoracic vertebrae, often first noticed when rising in morning. Pain and stiffness of cervical spine, usually with radiation to upper back and arm. Occasionally manifests solely as pain between spine and scapula. Pain inferior to acromioclavicular joint. Physical Evaluation: •Tenderness inferior to acromioclavicular joint •Pain with passively raising should while preventing, shrugging. Pain similar to impingement syndrome. Occurs after injury in younger patients, often spontaneous in older patients. Physical Evaluation: •Weakness in abduction •Patient resists downward force to an internally rotated, anteriorly stretched arm. Pain over tendon insertion on medial and lateral epicondyle. Hand Pain at the lateral base of the thumb. Pain over bursa, often feels when lying on area at night. Pain or numbness over lateral thigh, often after weight gain or loss. Anterior knee pain, often worse climbing or descending stairs. Ligament injuries tend to be traumatic, associated with the knee giving way. Meniscal injuries may be traumatic or degenerative. Knee locking is classic. Pain over distal tendon and stiffness worse after inactivity. Physical Evaluation: •Tenderness over insertion of tendon. Pain anterior to heel, worse with first standing. Pain between the second and third or fourth metatarsal heads. Physical Evaluation: •Tenderness at area of pain. Diffuse pain syndrome often nonrestorative sleep. Pain and disability of large muscles of shoulder and hips. Physical Evaluation: •Disease is often associated with signs of inflammatory disease, anemia, raised c-reactive protein and erythrocyte sedimentation rate. The syndromes of Pain may effectively be overcome through TriOrigin which itself is a new stage develop Oriental medicine. Highly effective, easy and accessible to learn, simple to apply, TriOrigin methods have attracted much attention to and interest in system. TriOrigin quickly arrests PAIN syndromes of various etiology. Moreover, there has been gathered a much bulk of observations that TriOrigin method quickly copes even with critical states – shocks, infarctions, insults. Under such extreme conditions, needling not always used. It’s enough to massage correspondence points for a victim to become conscious or to remove intolerable pain. Since TriOrigin method has fast effect, the rate of pain-killing was studied during treatment session. Within different time periods since beginning of session, the patient assessed percentage of decrease in pain as compared with first state which was accepted as 100%. A fast-effective removal of pain syndrome makes treatment period shorter and the patient’s cure quicker. Therefore, application of TriOrigin acupuncture in miniature form of hands in combination with color, seeds, byol magnets similar to pulse size allows to enhance effectiveness of traditional concept and get longer remission periods in pain syndromes. 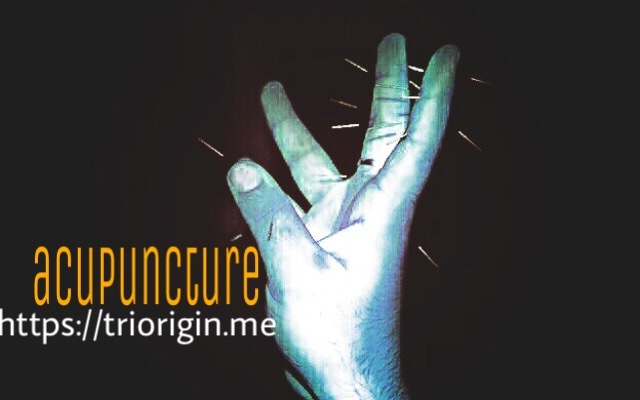 Previous Previous post: VULVITIS and micro acupuncture on two fingers!